DUBLIN, Ireland – April 30 2018 – Openet today announced the appointment of Jan Frykhammar, who has joined Openet’s Board of Directors. 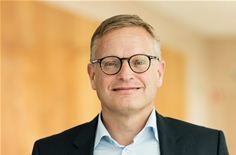 Having spent almost three decades at Ericsson, Jan has held a number of positions during his tenure, including interim Group CEO, CFO, and most recently, special advisor to the board and CEO. Jan will work closely with Openet board members and management team to ensure that Openet’s commitment to industry change continues its momentum. Jan has also served as a Board Member for the Swedish International Chamber of Commerce, as well as the confederation of Engineering Enterprises in Sweden. He currently serves on the boards of Telavox AB, Clavister AB and as advisor to Utimaco AG as well as Ratos AB. He holds a bachelor’s degree in Business Administration and Management from the University of Uppsala.